Ms. B's Class is Online | Is evil inherent in human nature? 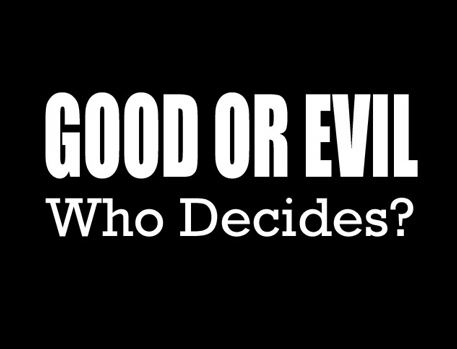 Is evil inherent in human nature? That is, are some people just “born evil”, or is evil caused by circumstance or environment? Yes evil is inherited into human nature. People can do people wrong and would not be even worrying about what they did unto them. It doesnt matter because they are both mean/evil. Yes its true because he/she can ask the lord to forgive and forget them from their sins and would be forgotten. Yes you suppose to respect everyone no matter the situation or how bad the incidient was. No it does not really justify the means because what’s done in the dark comes to the light. You can apologize and it will be over. Evil isn’t inherited, people can’t be “born evil”. It’s all about where they live, how their childhood was like, how their family treats them, and what is around his/her surroundings. I feel that no one is born evil, evil is caused by the enviroment. For someone to be evil, they must have been through many rough times during their life and they just feel the need to treat other how they have been treated for a long time. I dont think anyone is born evil. In order for them to be evil things must have happened to them throughout their life. Some people go through life being treated bad and all they know is evil because of what they see in their home, household, or around their environment. Human nature has two principle aspects: the animal, and the rational soul.The animal seeks its pleasure in the sensual and has no particular concern beyond this instinctual life, while the rational soul however, has only one purpose, to serve its personal merit to others freely, and receive freely for its own life.Each appears evil to the other, unless the body is wisely regarded as the temple, or throne etc., of the soul, and both the animal is cared for and loved, and the soul especially, is given its increase by loving kindness shared among souls as one. Are women naturally more evil than men? I believe that evil can be caused by both genetics and environment. I read a lot about serial killers, cult killers, mass murderers and I’ve found that while many of them grew up in bad situations, i.e. had mentally, sexually, or physically abusive parents, quite a few had loving families with secure homes. Evil people always have something bad happen to them. The good always out weigh the evil well bad . I believe some people are born evil. I don’t think the environment or circumstances have anything to do with it. Maybe with certain people who have just turned evil, well that’s self explanatory , but if the person was evil their whole life. Than they was born evil. I think people get evil because of the environment where they see other people doing bad things.Also they do evil things because of there child hood days and they just take it out on other people. People can be born evil, but i don’t think it’s inherent. You can be surrounded by evil all your life and still be a good person. To my knowledge people are born evil. I have seen little babes do evil stuff to people. yes evil is inherent to human nature because there are lots of people who do evil things and the evil they’ve done doesn’t even bother them. However everyone is born evil. Some people just don’t act on the evil inside of them. They don’t let the evilness control their actions. However there are those people who live to be evil. Evil is inherent parents have to disaplin their kids for doing evil things.